At Colony One Auto you can rest assured knowing experienced professionals are handling your vehicle. We treat our customers how we would want to be treated, and that includes providing them with honest and detailed information about their vehicles. Q: Why should I get a lift kit for my truck? A: Two reasons: style and functionality. This performance modification can make off roading easier and more enjoyable. Before you choose the highest lift and largest tires, you should know what you want your truck to do for you. Where are you taking your truck? Will you be driving it daily? If you’re off roading – are you mud racing, desert racing or is it for general purpose 4 wheeling? So you’ve figured out why you need the lift. Then, think about suspension. Think about the kind of clearance you need. Keep in mind that a higher clearance raises your vehicle’s center of gravity, which can reduce handling. Choosing tires will require some research and thought as well. Larger tires does not necessarily mean that you will get better traction. 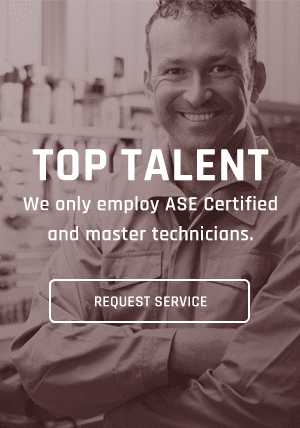 Fortunately, we have a team of ASE Certified Master Technicians who can give their best recommendations, as well as service your SUV or truck. Installing a lift kit can be costly. However, if you do the right research and get it installed properly – it could be a game changer for your truck. Remember, at the end of the day, ask yourself two things: 1) What do I want my truck to do? and 2) What is my budget? See what we can do for your truck/SUV here. Q: Does my car have a black box? A: There isn’t a simple “yes” or “no” answer to this question. The airline industry has had a black box on all commercial planes since 1967 to record a multitude of parameters for the functions of a plane, as well as a cockpit voice recorder to record activity in the cockpit. In the event of a crash or any incident worthy of review, the information is recorded and preserved for investigation. While modern automobiles are not equipped with an actual black box, they do use an assortment of electronic control modules (ECMs) to control the operation of your car, from the engine to the power seats. Since 2015, ECMs have controlled virtually every function of automobiles to make driving safe and efficient. If you encounter a crash situation that would deploy the air bags, your automobile’s event data recorder will begin recording five seconds before deployment and continue for about five seconds afterwards. The resulting data is held in various modules and can be retrieved using a crash data retrieval (CDR) system. The CDR will access all pertinent ECMs to extract information, including vehicle speed, throttle position, brake application, engine rpm, velocity change, and steering angle. The first automobile “black box” recording was in 1994, and provided very little retrievable information. As time went on, automobile onboard diagnostic (OBD) capabilities advanced to where today’s vehicles now provide a plethora of information. This information is only accessible by trained professionals using the proper tool. If you were involved in an accident, chances are your automobile recorded it and the information can provide a lot of vital information related to the accident. This can work either for you or against you. Be aware that this information can only be accessed with your consent or a court order. So drive carefully. Big Brother is watching. Q: Why should I flush my brake fluid? A: Since the start of hydraulic brake systems, brake fluid has remained the same. It is made up of a wide range of ingredients: some to protect the rubber components of the system, some to inhibit rusting of the metal portions and others to increase the boiling point of the fluid so it won’t evaporate when the braking system reaches higher temperatures. However, in their combined state, these fluids are hydroscopic, which means they have the ability to absorb water. Condensation within the system, as well as moisture in the air, will attack the fluid and over a period of time cause it to break down. Combine this with the oxidation caused by the extreme heat the fluid has to deal with every time you use the brakes – and you’re left with a mess that needs to be flushed out and replaced so the process can start over again. Left unattended too long, and the system components, especially the ABS system, can be rendered less effective or even fail. Not all manufacturers have this on their regular maintenance list, but every braking system needs this service. A complete brake fluid flush should be performed every 30,000 miles or when the brakes are having work done, such as a brake job. Be sure the flush is being done with a machine specifically designed for the job. Find a shop using the right machine and with ASE-certified technicians to operate it. Colony One has state-of-the-art equipment and all of our technicians are certified. Consider the crud that accumulates in the brake fluid like the cholesterol that accumulates in arteries and veins: Without medical intervention, this crud will ultimately lead to a heart attack. We all know if we eat better and exercise, we have a healthier life. A little maintenance to the brake fluid will have the same effect for your car. Q: Should I expect to pay to have the problems with my car diagnosed? A: Yes and no. For a mechanical problem, there is typically not a charge as long as it does not require the technician to disassemble the vehicle. If disassembly is required, the customer should be given notice of the cost for that type of diagnosis. Because diagnosing mechanical problems usually does not take a long time or require specialized equipment, most shops will only charge if the estimated work is declined. This charge offsets the time spent with no billable work being performed. On the other hand, performance or emissions-related diagnoses require highly trained technicians as well as sophisticated test equipment to get an accurate answer. Vehicles with a check engine light or a specific performance issue require the technician to spend a lot of time working before making the proper diagnosis, so there may be a diagnostic charge. Because parts prices for these types of repairs are generally high, the right call is well worth the diagnostic dollars spent. Unlike a minimum charge for a mechanical investigation, auto shops will charge a fee for performance or emissions diagnoses regardless of whether or not the work is declined. This time is no different than that of your family doctor. He charges for an office visit, and any treatment is an additional cost. The doctor has countless hours of education and numerous pieces of equipment just like the highly trained technician. There is one very big difference between the doctor and the technician: The doctor only has to learn about two body styles that have been the same since time began; the technician on the other hand has to be familiar with over 5,000 body styles from a variety of manufacturers that change every year! This is not an easy task and a good shop with qualified technicians will charge a fee for this service – so expect to pay for diagnostic time. In the long run, it is money well spent. Q: Should I take my car to the dealer for my maintenance and repairs? A: While the dealer who sold you the vehicle would like you to do so, it is not necessary. The only thing required is that all scheduled maintenance is performed at the intervals recommended by the manufactuer. This will ensure any possible warranty repair can be handled without questions. To keep the manufacturer’s warranty valid, proof of work is required and most manufacturers require that an ASE-certified technician perform the maintenance. To repair or replace any part under the original warranty, you must take your car to the dealer. Most warranties last for three years or 36,000 miles, though some will differ. Once the warranty has expired, any repair or replacement that would have been covered can be performed by any qualified repair shop employing ASE-certified technicians. A quality repair facility will keep up with the training and equipment necessary to repair your specific vehicle. Today’s vehicles are more complex than in decades past, and constant training is necessary to keep up with the changes. Occasionally, there are some repairs that only the dealer can perform due to an unusual piece of equipment or information the manufacturer chooses not to disclose. Repairs related to factory recalls will always require a trip to the dealer. In the real world of auto repair, a reputable repair facility employing ASE-certified technicians is a great place to have your maintenance or repair work done. There are many more independent repair facilities than dealers to choose from, which generally result in a reliable repair in a more timely fashion than you might experience at the dealer. Q: Is my car or truck ready for another season of travel? A: Increased mileage, as you might experience during the fall and winter seasons, and increased temperature, as you might experience on your summer travels, both take a toll on cars and trucks. Now is the time to get your vehicle in for a pre-season inspection. There are many reasons for a breakdown on the road. At the top of the list is running out of gas. While this is not a maintenance item, it is obvious how to avoid this situation. Tires have to be the first real and avoidable reason for a stop in the roadside shoulder. Be sure to have the tires inspected! The air pressure is often neglected and the tires are allowed to run low, which increases heat in the tire and can lead to failure. Tires wearing on only one side can be indicative of a worn part or an alignment problem. Regardless of the reason your tires have worn, have them checked and replaced if necessary and check the air pressure in the rest of them. You should get your tires checked out every season. Drive belts and coolant hoses are next on the list. With the demise of the full service gas station, your hood is rarely lifted, leaving all the things under the hood a mystery. Rubber products under the hood like the drive belts and coolant hoses will by nature break down, so these parts should be replaced every four years. These are the most common items to fail and yet, they are also the easiest failures to prevent! Other items on the “trip ready” checklist should include the various levels and condition of your various fluids: engine oil, transmission fluid, coolant, brake fluid, differential fluid (if so equipped), water in the battery, and washer fluid. If your trip is going to take you beyond the next oil change, change it before you go. This will allow you to drive the entire trip without becoming too many miles overdue for the next oil change. You cannot over-change your oil. Have all the lights checked. Be sure the spare tire is in good shape and the air pressure is correct. Be sure the jack and the lug nut tool are in good working order and fit your car properly. If your vehicle is equipped with locking lug nuts, check for the removal tool and remember where you put it! Replace the wiper blades; they’re cheap. Have the washer fluid topped off, and be sure the delivery system works. Additionally, test the cruise control at the speed you intend to drive. A good repair facility will have a predetermined list of things to be looked at for a trip. Colony One Auto Center offers this service for a nominal charge. Get your car or truck road-ready before any trip. Remember, no matter how many things are checked or replaced, there will always be a chance some unseen contraption will fail and cause you grief. Eliminate the obvious, and have a safe and enjoyable trip!